Academy Mortgage Corporation is a direct lender with head quarters found in Salt Lake City, UT. It has 260 branches total, and can originate loans in 49 states plus Washington, D.C. Academy Mortgage has been in business for over 28 years. In 2014, Academy Mortgage acquired Republic Mortgage. You may be wondering what makes a direct lender different than other lenders. For one thing, working with a direct lender can result in your loan closing faster. This is because direct lenders can process, underwrite, close, and fund loans right at their own offices, and can sometimes even get your loan expedited. If you’d like to get your loan funded quickly, working with a direct lender may be the way to go. 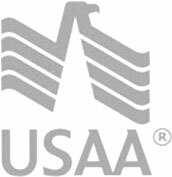 Academy Mortgage has conventional mortgage products, VA loans, USDA loans, and more. And, if you’re in need of commercial lending, check out Academy Commercial. While Academy Commercial is not a direct lender, they only charge a fee if your loan is successfully closed, which means that they’ll do everything they can to get you the loan you need. Academy Mortgage also created the Academy Mortgage Foundation, which aims to make safe homes available for those in need, both in their local communities as well as around the world. Those interested in supporting the cause can donate on their website.